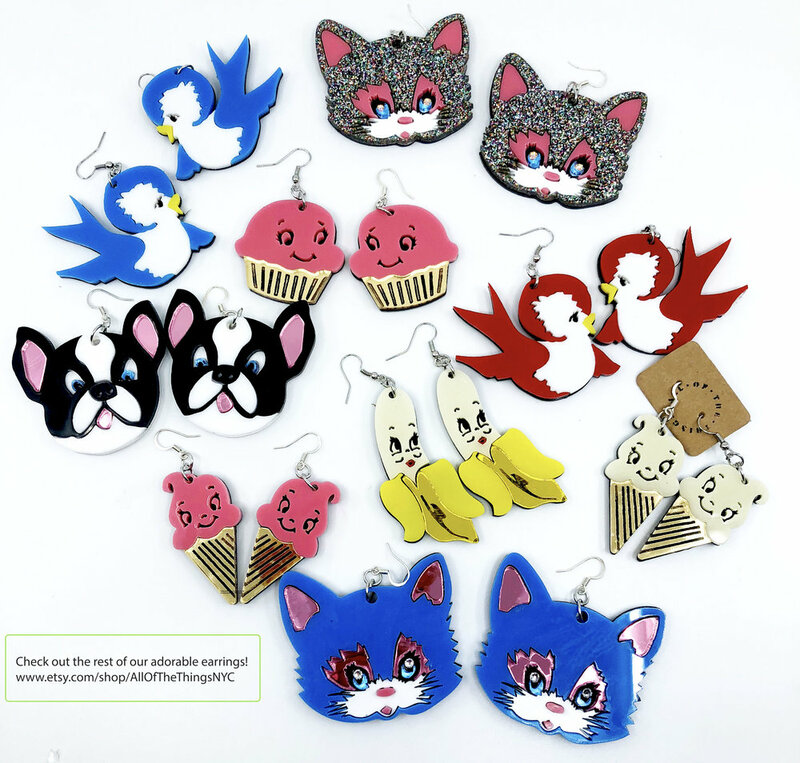 We have a lot of great laser-cut acrylic jewelry in stock! We design and laser-cut all of our earrings and necklaces in our small midtown NYC studio. We got our start by crafting masquerade masks for a special gala event at the New York Public Library, and we still love making these feathery, beaded, blingy wonders! Get in touch for a custom mask to match your gown or suit!